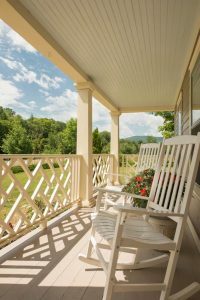 Ideally situated four miles from the Woodstock Village Green and along the scenic Ottauquechee River, Deer Brook offers a distinctive Woodstock, VT bed and breakfast inn experience. With easy access to Killington and Okemo ski areas, guests enjoy the best of Vermont’s charming villages along with the thrill of world class skiing. 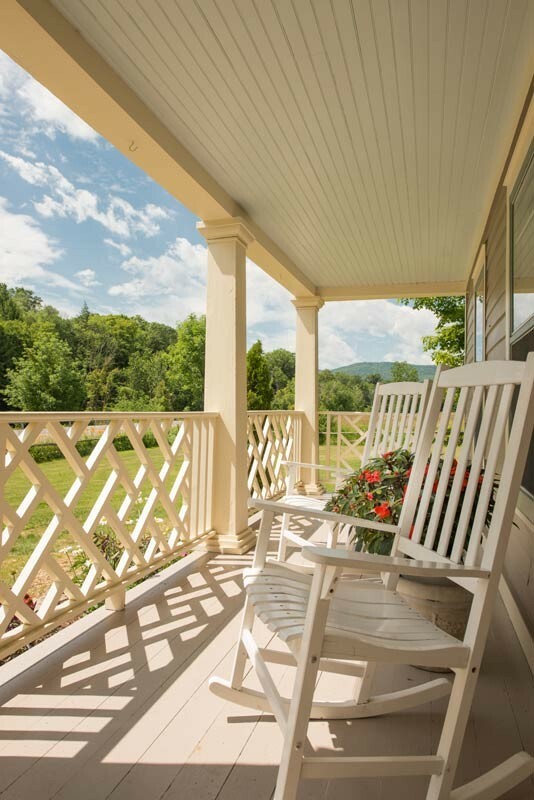 Experience Authentic Vermont at Deer Brook. Stay in a charming and historic farmhouse. Hike the Appalachian trail. Roam through century old covered bridges. Go tubing in crystal clear rivers and streams. Experience Vermont’s fresh farm products and craft beers. Visit artisans in their shops and galleries. Shop and dine in Woodstock, “the prettiest little town in America”. Completely renovated in the Spring of 2016, Deer Brook offers four stylish Guest Rooms and a savvy two room Suite. Indulge in a unique breakfast experience featuring fresh and organic food products from the inn’s neighboring farm. Upbeat and casual hospitality is the name of the game at Deer Brook. Innkeeper, Phil Jenkins, is an experienced host who previously owned three award-winning inns in Georgia and Ohio. A Georgia native, Phil and family bring to Deer Brook sincere and Southern Hospitality, plus lots of fun! Our mission: Personable and attentive service without intrusion. Our mantra: Making you feel important. BOOK NOW to reserve your stay at Deer Brook.